When Matt Duchene makes his decision whether or not to re-sign with the Ottawa Senators, hockey will be the primary reasoning behind it. In speaking to reporters on Thursday, Duchene admitted he’s “looking at it from a hockey perspective” and will ultimately choose to be part of the Senators organization moving ahead or not. While it appears money is not the primary objective for Duchene, the 27-year-old needs to determine whether he feels the Senators are on the right track of their rebuild or if he wants to join a team in contention for a Stanley Cup now and in the immediate future. “Obviously, there’s a decision coming up that’s going to impact a long part of my life,” he said. “My wife and I have been talking about it. At the end of the day, we really enjoy our time in Ottawa. I’m not sure how this is going to play out; time will tell, I guess. 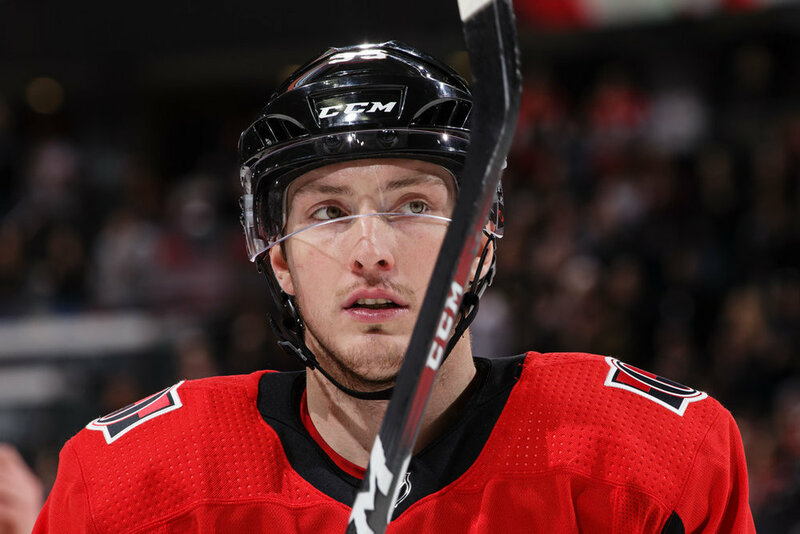 If Duchene, who recently moved up to No.3 on TFP’s Top 30 Trade Watch List, informs the Senators he’s not willing to sign an extension with the club, GM Pierre Dorion will have to move him ahead of the Feb. 25 trade deadline. Multiple sources have told TFP the Senators began taking calls on both Duchene and winger Mark Stone a few weeks ago, primarily from an information-gathering and due diligence perspective, but if a new contract cannot be ironed with for either player, the trade route is the club’s only option. With 25 days until the deadline, there is still plenty of time to hammer out a contract, though some within the hockey community have wondered why there wasn’t more of a sense of urgency to get Duchene signed – Stone was not eligible to sign an extension until Jan. 1. “At the end of the day, I need to be sure of what I’m doing,” Duchene said. Stone, 26, has been less vocal about his contractual status – he and Duchene can become unrestricted free agents July 1 – and he plans on keeping it that way. “The team and myself and (my agents) have all agreed that that’s the best way to do it, to keep everything internally,” he told reporters earlier today. The star winger has previously expressed his desire to stay in Ottawa, and while that still seems to be his top priority, the dollars and structure of his next contract have to align. It’s believed the Senators are prepared to pay both Duchene and Stone their worth – Duchene’s next deal could be in the $8 million to $9 million, per year, range, while Stone’s likely to see an annual salary north of $9 million – but the overall structure of the deal may pose a problem, especially if either player is looking to receive most of his pay through a bonus-laden setup.